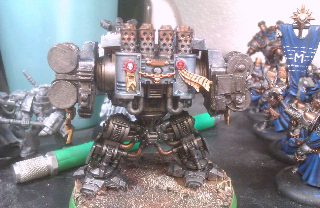 Well, It has been a while since I did any walk throughs, so I figured I would do one for the unit of Bastions I am working on for myself. 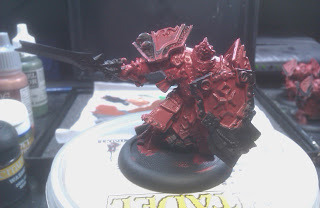 After priming in black, coat the armor areas with Mecharite Red (GW). 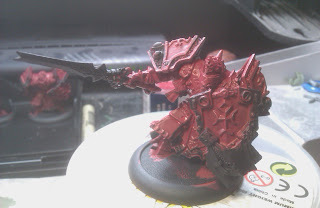 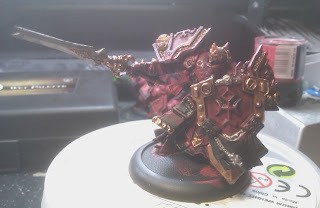 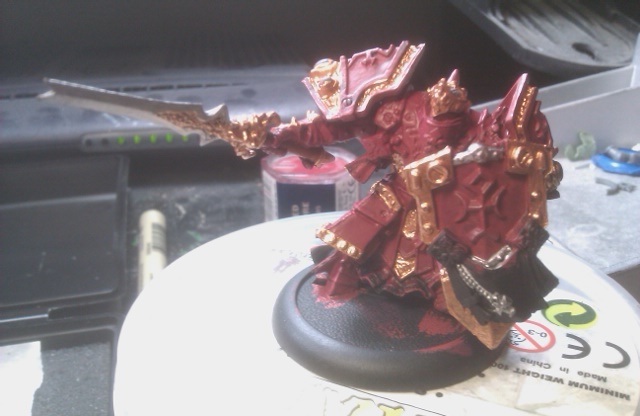 Using Bright Bronze (VGC) pick out areas of the model to contrast the red. Using Chainmail (GW), paint the blade of the weapon. Wash the entire model with a Wash of Badab Black (GW). Paint the tabard and trim in Jack Bone (P3). 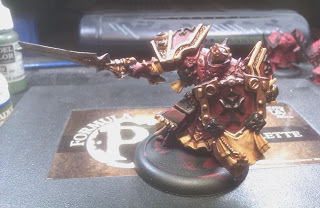 Wash the Jack Bone with Gryphonne Sepia (GW). Finally, black out the Menofixes and any other little details to offset the red and bone. 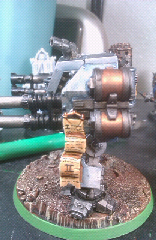 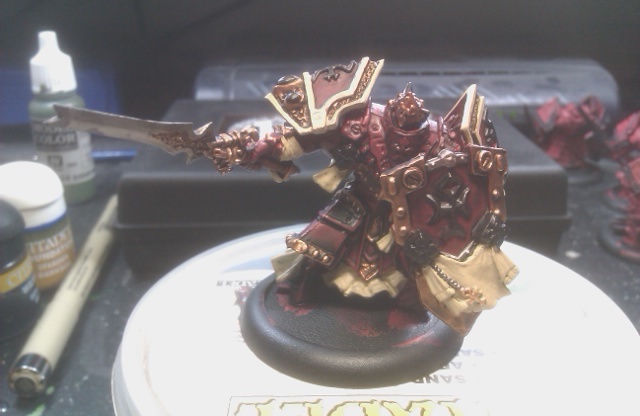 And there you have a completed Menoth Bastion, minus basing. Total paint time for the whole unit was less than 3 hours. 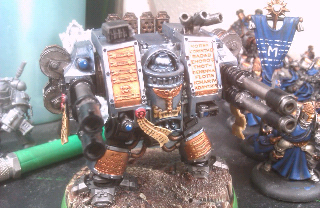 Finished a Grey Knight army in record time!